You can depend on Laser Plumbing Taupo! Over 19 years of experience in providing plumbing services. Servicing the greater Taupo region as far as Mangakino, Whareroa, Kinloch, Kuratau, Motuopa, Reporoa, Turangi and Tihoi. Laser Plumbing Taupo is one of the largest and most respected plumbing businesses within the Taupo region. We are in business to improve the lifestyle of others. We work to increase the comfort levels of our customers by providing fully functional, user friendly and reliable plumbing systems. Laser Plumbing Taupo is a family focused organisation. While we are part of a nationwide franchise, the business is 100% owned and operated by Dave and Kylie Merwood. Through their leadership, we have developed a strong and highly skilled team working in a culture that enables excellence. This has positioned us to live our “Totally Dependable” service brand. We ensure high service standards and punctual, highly skilled technicians. All our staff members are Site Safe accredited. We offer a full range of plumbing, drain laying and heating services for commercial and residential properties. 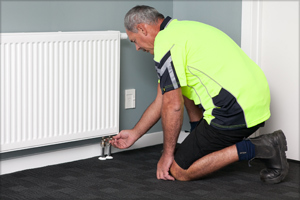 If you are looking for a plumbing contractor that is reliable and ready to respond to your plumbing requirements, look no further than Laser Plumbing Taupo. 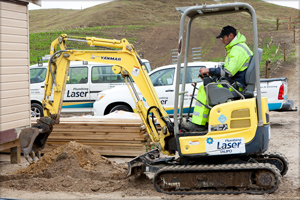 Laser Plumbing Taupo has worked with many local organisations and businesses. Here are just a few of our valued commercial clients. Whether you require maintenance & servicing for your home, workplace, factory or farm, Laser Plumbing Taupo will be there when you need us. Every plumbing job is important to us and we will respond promptly to any callout, big or small. Whether your bathroom is flooded or you just need a toilet unblocked, you can rely on Laser Plumbing Taupo to provide a ‘Totally Dependable’ service. Learn more about Plumbing Services. 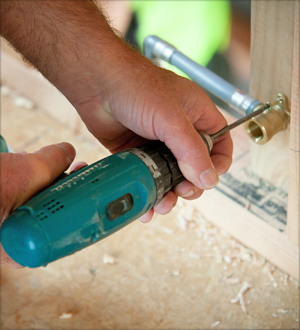 At Laser Plumbing Taupo, we understand the difficulties faced in knowing who to trust when building your home. 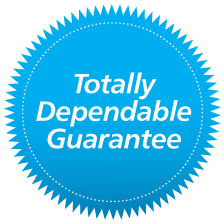 That is why we strive to provide 'Totally Dependable' plumbing services for residential customers. 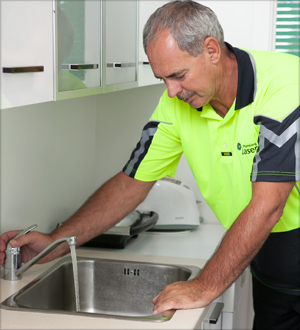 We take care of your plumbing and maintenance needs, whether you are a large apartment block builder or a department store. If you’re tired of unreliable tradesmen and costly delays from poor project management, then give Laser Plumbing Taupo a call today to tender on your next project. At Laser Plumbing Taupo, we understand how critical it is to have your most important equipment working at its best, and know what's at stake when things break down. Laser Plumbing Taupo is here to help when you need an immediate response, quality workmanship and friendly plumbing advice. Learn more about our comprehensive Industrial Services. Laser Plumbing Taupo can take care of all your plumbing services and needs! Please contact us to discuss your requirements.